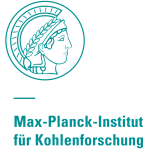 IMPRS-RECHARGE is a unique postgraduate training program founded 2015 by the Max-Planck-Institut für Chemische Energiekonversion (MPI CEC), Ruhr-Universität Bochum, Universität Duisburg-Essen, Universität Bonn and the neighboring Max-Planck-Institut für Kohlenforschung. IMPRS-RECHARGE focuses on interdisciplinary research between chemistry and physics with an emphasis on catalytic mechanisms, physical-chemical analysis and energy topics. Scientific challenges shall be looked at from different angles. Furthermore the combination of theory and practice is a vital aim of the IMPRS-RECHARGE.